Perfect doesn’t exist. It isn’t real. Yet the pursuit of perfection drives many of us each day. I used to hate dirty dishes. Before heading to work or going to bed, you could reliably find me by the sink making sure everything was clean. That all changed when I became a mom last year. Suddenly, mess was everywhere. I couldn’t possibly get bogged down by everything that needed cleaning. Instead, I learned to let go. In a bigger sense, being a new mom has taught me to dial in on what I do well and to cut out the distractions. We are not supposed to be good at everything. We are supposed to make mistakes, sometimes messy ones. This dynamic is unhealthy. In a culture of perfection, failure is feared and errors are an eyesore. They must be covered up before anyone sees them, like dirty dishes by the sink. They are frequently disowned, shifting the blame to something or someone else. It won’t take long before that type of environment heads down a slippery slope to toxicity. Ultimately, a culture of perfection often breeds a culture of fear. Even research points to the dangers of perfectionism, linking it to both anxiety and depression. And new research is showing an increase in the “rise of perfectionism” amongst young people. How do we break this cycle? It’s an ongoing process. These days, I either delegate what I am not good at or accept that it will not be done well or perfect. I’m learning to accept and be ok with the messiness. I leave the dishes in the sink, so I can make it to dance class on time. I allow my inbox to creep higher so I can spend time on strategic planning and product development. I’ve accepted that some things just need to get done, even if they aren’t done perfectly, and some things not done will actually help me achieve a higher purpose. Sounds crazy, right? But something will always have to give. Is the empty inbox more important than having the time and space to think creatively? To develop new curriculum and resources that will further help our partners meet the social and emotional needs of their students and teachers? To make strategic business decisions that will allow my staff and our partners to better do their jobs? To envision the future of Move This World and the impact I want it to have on communities around the world? While it may be easier to clear out my inbox and feel perfect even for just a few minutes, that’s not what will best serve my organization, our growth and this vision. In this case, surrendering to the messiness actually allows me to be more effective and to thrive. 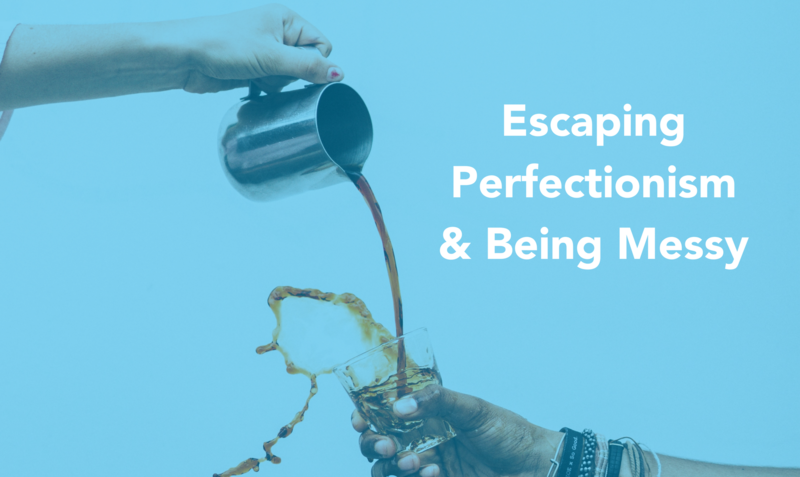 Rather than focusing on a “fear of failure,” surrendering to the messiness gives me the time and space to set goals that are more worthwhile and meaningful.